The human body has always shown an amazing capacity for strength and endurance during times of necessity. We can sometimes achieve feats that we never considered possible. Some people have built their entire careers and lifestyle around this fact, one of them being marathon runners. Running a marathon requires a substantial amount of stamina, mental toughness and overall fitness. The marathon runners on this list displayed all these qualities and a lot more, in order to become some of the most extreme and amazing marathon runners of all-time. 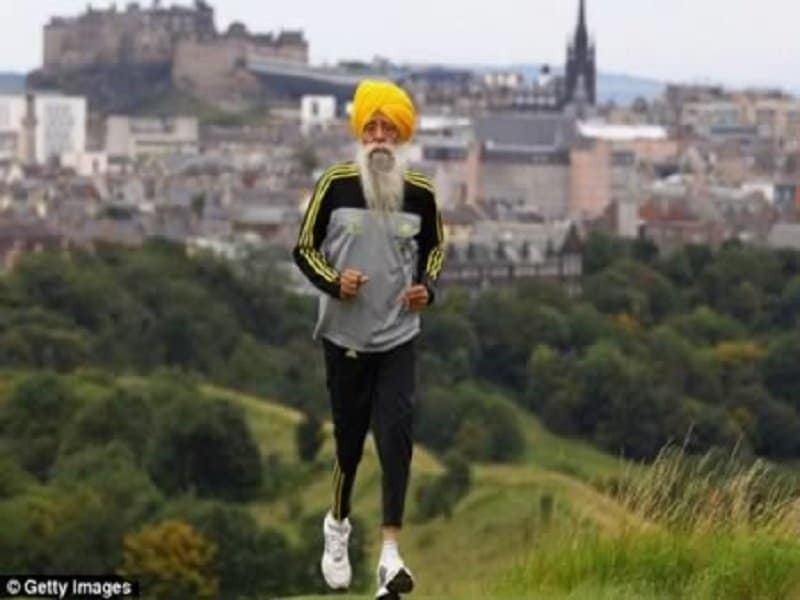 Most people don’t even dream of living till the ripe old age of 100, but Fauja Singh from India went on to achieve a staggering feat of physical fitness at that age. He ran a marathon in Hong Kong and became the first Centenarian to ever complete the feat. Joseph Tame is a very different kind of marathon runner. He relies on social media and technology to relay his experience to a wide audience. 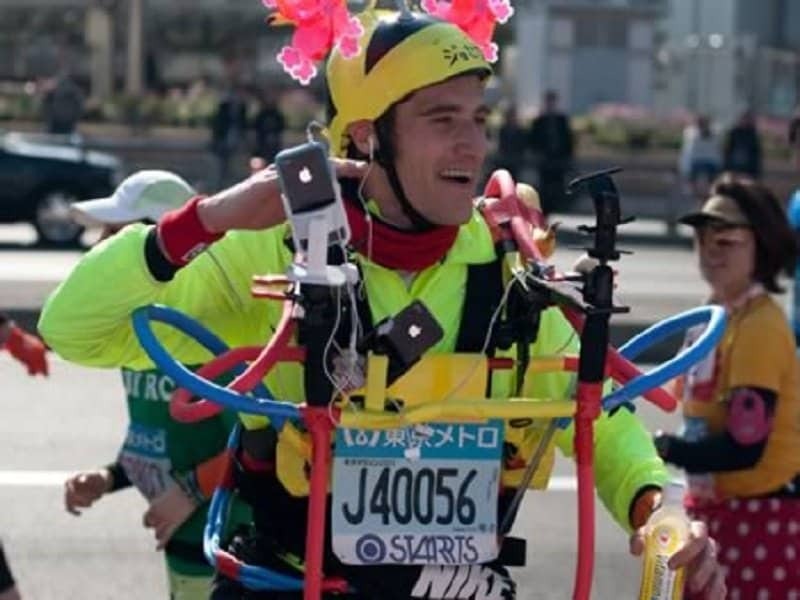 In 2011, he completed the Tokyo marathon while being strapped to various devices such as an iPhone, iPad, an Android phone and a heart rate monitor. These devices were recording his race and telecasting it on various social media sites. Joe Salter didn’t just finish the 26.2 mile Quad-city marathon, but he did it while running backwards. 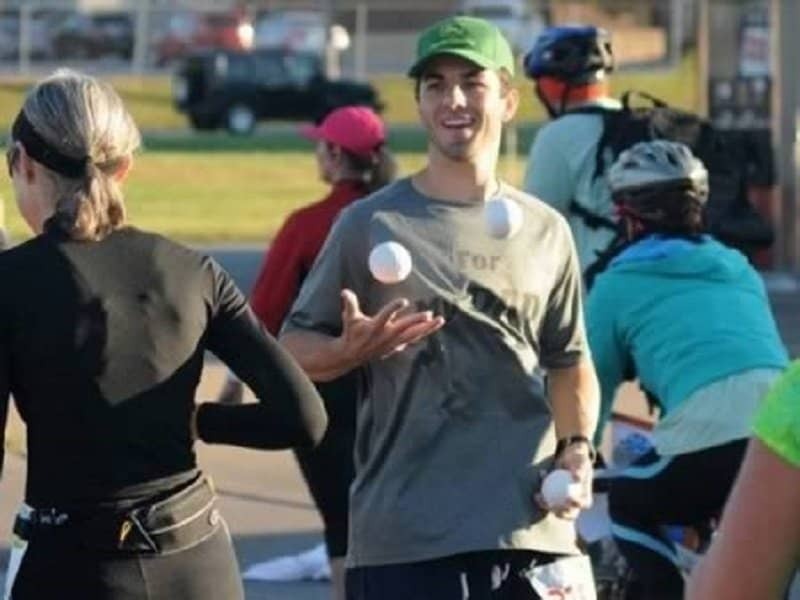 To make things a little more interesting, he was juggling through the entire ordeal. He is a marathon runner who is known for this unique skill and has many Guinness records of the very nature to his name. Amber Miller managed to complete the grueling Chicago marathon in just over 6 hours, even though she was 39 weeks pregnant. 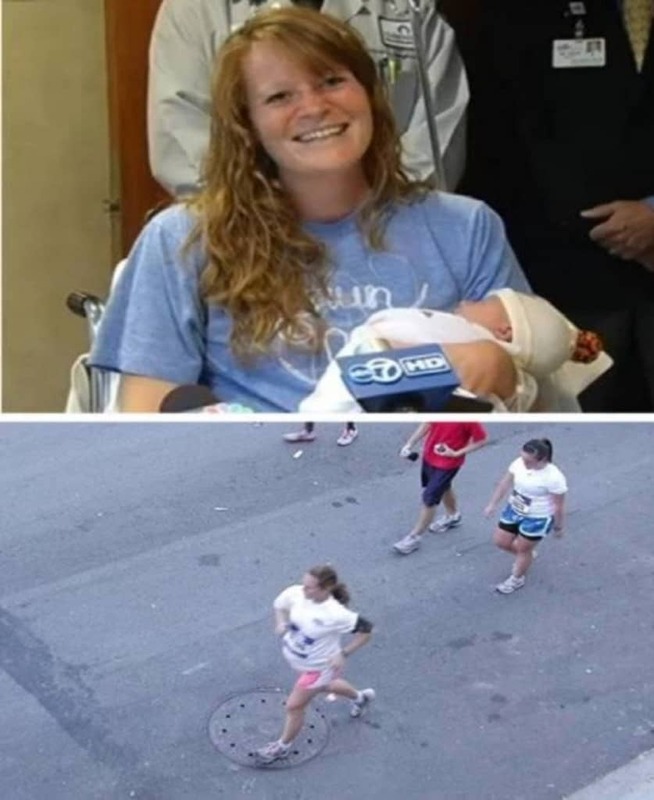 She just managed to finish the run before she grabbed a bite to eat and rushed off to the hospital to deliver her second child. If you are a sumo wrestler, chances are that you are extremely enormous and not too agile. Kelly Gneiting is a 430 pound sumo wrestler who entered the Guinness World Record for being the heaviest person to finish a marathon. 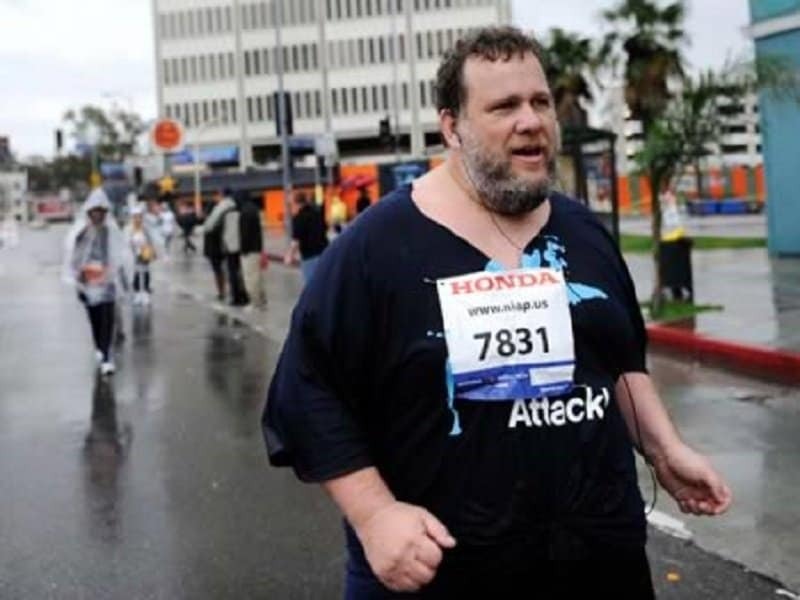 He completed the Los Angeles Marathon in just under 12 hours. Zhang Huimin is truly an exceptional girl. 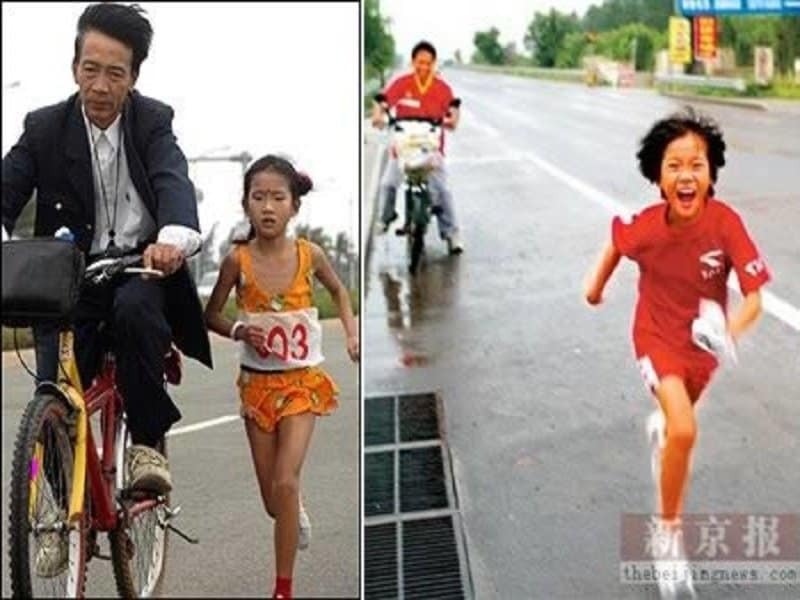 She is only eight years old but she set off on a marathon of epic proportions that spanned across China. Her run covered a staggering distance of 2,211 miles and lasted over 55 days. She only had her father for company during this momentous feat. Major Phil Packer was unfortunately injured quite badly when he was serving under the armed forces in Iraq. After returning to his home country, he decided to do something noble and run a marathon for charity. He participated in the Flora London Marathon in 2009 and managed to finish the run in just under two weeks. 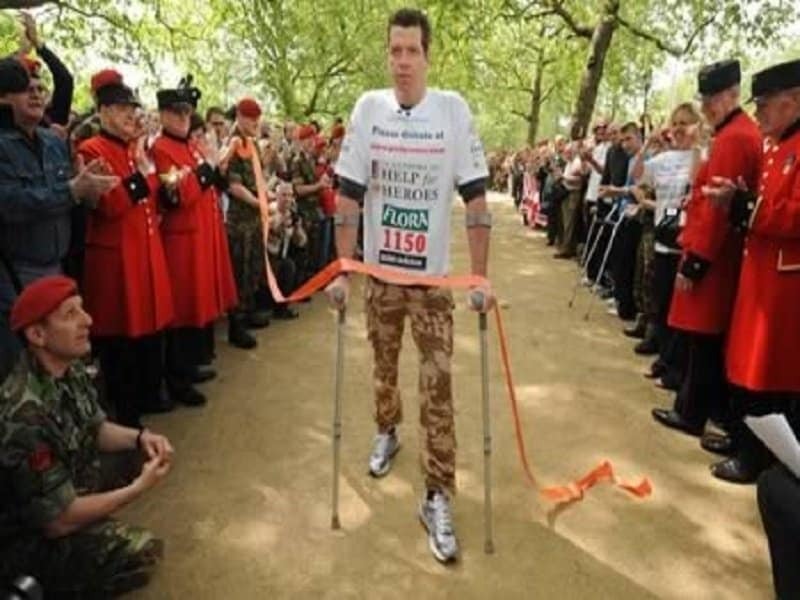 His herculean effort raised close to 800,000 pounds for charity. If you are paralyzed, running a marathon isn’t one of the things in your list of priorities. This is what makes Claire Lomas very different. Despite being paralyzed from the waist down, she was intent on running a marathon and did exactly that by using a bionic suit worth over 43,000 pounds. Rick Van Beek is truly an exceptional father. 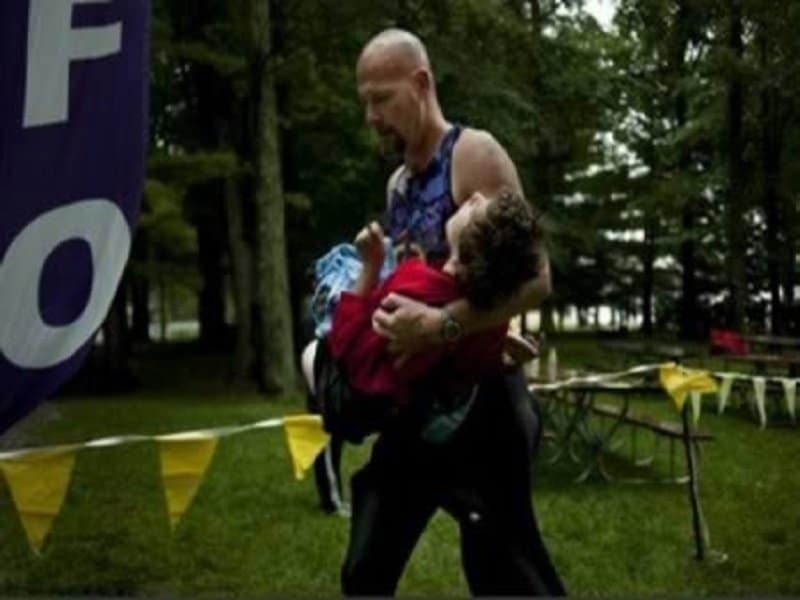 He has been participating in the local triathlon in his area over the last four years, and he has run every race while carrying his daughter who has Cerebral Palsy. She can neither run nor walk, but she loves the outdoors, and this is Rick’s way of keeping her involved in an external activity. Most six year old’s have a lot of energy but not too much stamina. Keelan Glass, a six-year-old from Texas is very different. 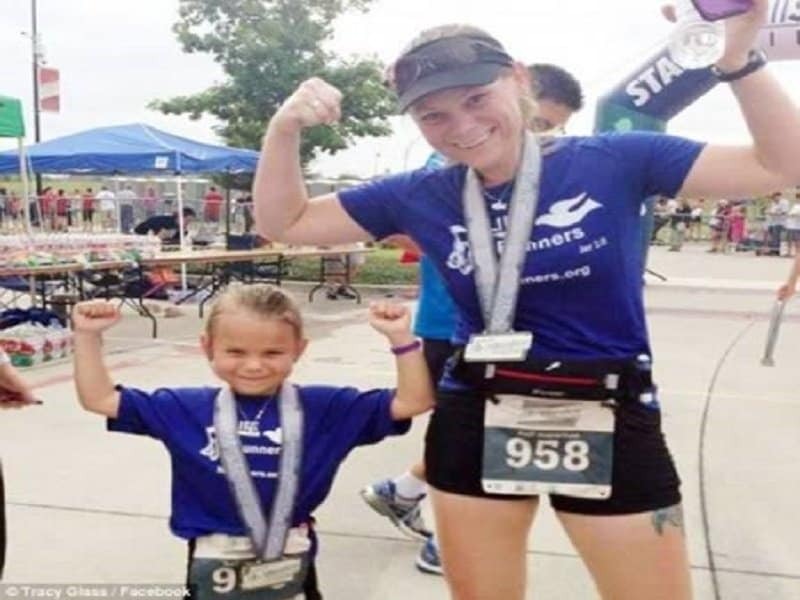 She managed to run a half marathon of 13.1 miles in 2 hours and 47 minutes, a time that was easily a world record.